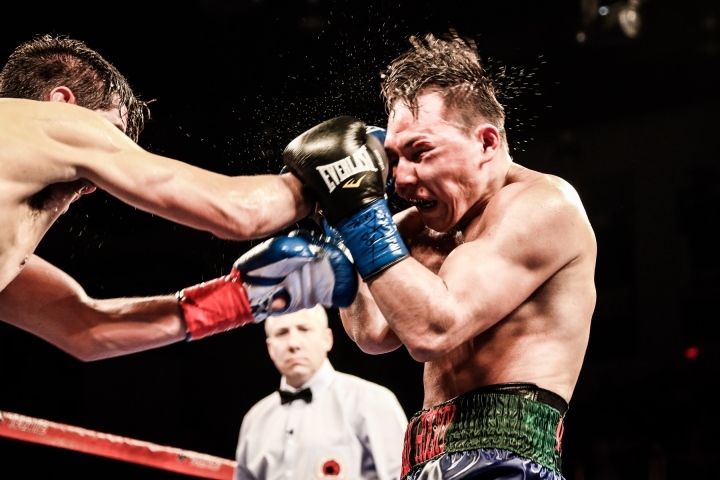 The June 2016 clash between notorious brawlers John Molina Jr. and Ruslan Provodnikov had “action-packed, no-holds-barred, knock-down-drag-out fight” written all over it. But the 5-foot-10 1/2 Molina surprised the 5-foot-6 “The Russian Rocky,” using his reach advantage (71 inches to 66) to spend as much time boxing as infighting. Molina established his jab from the outside while not allowing the powerful Provodnikov to work inside, his chicanery being the difference in overcoming odds as high as 9-to-1 for upset unanimous decision and Provodnikov most decisive career loss by scores of 117-110, 116-112 and 115-113. Having turned 36 on December 28, Molina (30-7, 24 KOs) finds himself in a similar position entering his 140-pound clash on February 16 against former 135-pound champion Omars Figueroa Jr. (27-0-1, 19 KOs), who has predicted a knockout within the first four rounds on FOX (8 p.m. ET/ 5 p.m. PT) at the Microsoft Theatre in Los Angeles near Molina’s home of Covina, California. Figiueroa-Molina is happening on the undercard of a WBA “super” featherweight title defense by three-division champion Leo Santa Cruz (35-1-1, 19 KOs) in pursuit of his fourth straight victory in as many defenses against Miguel Flores (23-2, 11 KOs). With an impressive performance against Molina, the 28-year-old “Panterita” (Little Panther), of Weslaco, Texas, is looking to pick up where he left off in July 2017, when his 19-month ring absence ended with a sensational five-knockdown, third-round TKO of former two-division champion Robert Guerrero. But Molina finds himself in a similar motivational position as with Provodnikov, whose trainer, Joel Diaz, serves as corner man for Figueroa, who stands 5-foot-7 ½ to Molina’s 5-foot-10½, with a comparative 73-inch reach to Molina’s 71. “My entire career people have talked crap about me, and if you want to take it a step further, Joel Diaz was saying the same thing about me before the Provodnikov fight, but talk is cheap,” said Molina of Diaz, whose presence serves as motivation at a venue 30 minutes from his home in Covina, California. Molina will end a 14-month ring absence since in his last fight in December 2017, when he rose from the canvas in the second round to score his own pair of knockdowns on the way to a fourth-round TKO of Ivan Redkach. In victory, Molina bounced back from an eighth-round TKO loss to three-division champion Terence Crawford (December 2016). “If anything, the pressure is on the other side, because I’ve already taken out one of Joel Diaz’s guys in Provodnikov. And, now, they’re going to try this again. Believe me Diaz isn’t getting any sleep because he’s pushing Omar to the limit every day of camp. I know Joel wants to get that win back,” said Molina, who defeated Provodnikov before losing to Crawford. “I don’t know Omar, because he’s got a poker face and when I talk to him he’s a smart and articulate kid, and I respect him for that. But, Joel, as a renowned trainer, I know I’m in his head and that the Provodnkov fight is in the forefront of his mind. Believe me, this man’s gonna kill a rattle snake and do what ever he’s gotta do to make sure Omar’s is physically and mentally prepared.